The ST0700_adapt board is a mechanical and electrical board which allows ST0700I5Y-RBSLW LCD screens made by Santek to be used with Armadeus boards (APF27, APF28, APF51 or more). 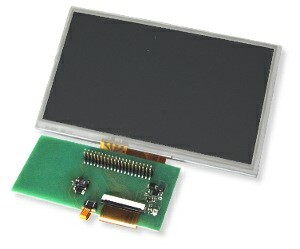 This TFT is a 7" model with a 800 x 480 resolution (WVGA). It has a LED backlight and a resistive touchscreen. In addition it has an excellent viewing range (140° horizontally and 140° vertically).